I have Dupuytren’s Disease. Your Posture Doctor’s body is far from perfect. I wanted to share my diagnosis because many of you have journeyed with me since I left private practice, to take my posture tips online full-time. 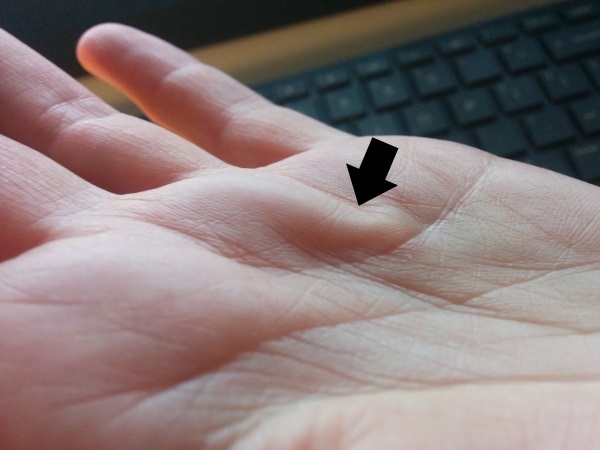 About three months ago, I discovered a small lump on the palm of my hand. Having had a similar lump in my plantar fascia a year ago, I assumed my overly tight tendons have some calcific build up. I’ve also got a bunion on my right big toe – maybe you’ve seen my bunion mobilisation videos – and an anatomical short leg, that gives me a functional scoliosis. I also have a video explaining the mechanism of short leg scoliosis. I’ve had chronic headaches since my early 20s, and I believe the underlying structural cause was initiated by an accident I had age 9, when I was hit in the head with a wooden baseball bat, receiving eight stitches. Fortunately, my ongoing posture work, keeps them at bay. As a result of having an anatomical short right leg with scoliosis, and being crazy active in sport up until university, I eventually had a disc herniation (slipped disc) while I was in practice as a Chiropractor, many years ago. When I tell you that I know what it is to have problem posture, and that I understand the frustration that regaining attractive upright posture, takes time – there is no quick-fix solution – I MEAN IT! I feel your pain. The imperfections of my body, are in many ways the bane of my life, and yet I know they are also my gifts. For if my body alignment and health was perfect, I most likely wouldn’t have become a Chiropractor, or gone on to study the physics of posture. It has become my absolute mission to correct my own posture, and along the way, I’m continually reminded of my student’s struggles, and humbled by my own. 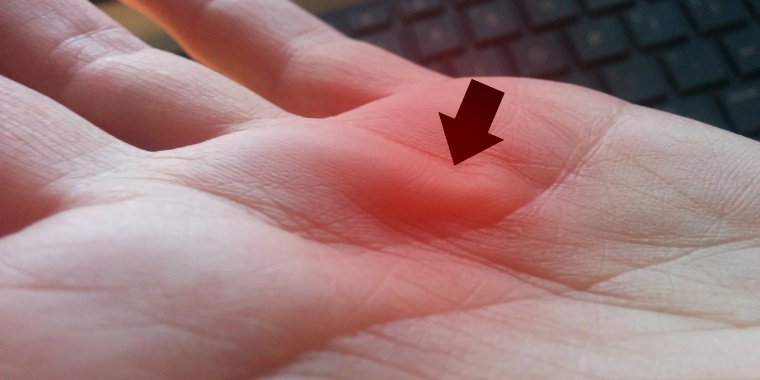 Dupuytren’s Disease, is a disease of collagen tissue dysfunction. It is genetic. My grandfather had it. My grandfather was a supreme court judge in Canada. I am certain he was the man, the word gentleman was modelled after. In fact, we called him Grandfather, as children. He even wore a dress shirt on our picnics, and enjoyed smoking his pipe, as we played in the sand. Apparently as a child, I used to try and hold my hands with my fingers bent, just like his were. He had Dupuytren’s contractures on both hands. I didn’t like to hold his hand crossing the street, because his bent fingers felt funny to me. Last night I Googled, ‘nodule in the flexor tendons of the hand,’ and Dupuytren’s Nodule popped up. I don’t know why I hadn’t immediately clued in, but I hadn’t. Treating the symptoms or cause? Just like posture, you can treat the symptoms (forward head posture for example with a chin tuck) or the cause (the structural alignment in the neck – after x-ray diagnosis). Oddly, Dupuytren’s Disease doesn’t really worry me. Do I need my hands?! Obviously yes; I’m extremely active and write a lot. I could have an injection and watch the early sign (nodule) perhaps disappear. I know however, that this approach, fails to address the cause of Dupuytren’s. The problem is collagen. I am very interested in the WHY. Why is my collagen running amok? WHY IS YOUR POSTURE THE WAY THAT IT IS? Do you want to use a quick-fix youtube video exercise? I have plenty of those posture videos for you online. Or, do you want to address the underlying cause of your posture issues, and jump on board for the long run, and correct your posture for good? I did some more research. This time I Googled, ‘Dupuytren’s Nodule nutrition’. I found Magnesium and Dupuytren’s Disease . The article explains that in Dupuytren’s Disease, collagen cells shrink or contract, and that calcium is needed to allow this to happen. The cell’s pulling mechanism requires calcium. In theory, magnesium might block the cells from pulling on the tissues by reducing the effect of calcium … magnesium might make the cells relax and allow a finger to loosen. I’m not suggesting that taking extra magnesium will somehow turn off Dupuytren disease. Instead, there may be harmful effects of low magnesium in people with Dupuytren Disease. There’s no reason to try to increase magnesium levels above normal: high magnesium levels can cause problems as well. The goal is normal. A Toronto Chiropractor had some success using Low level laser therapy and Graston Technique. The theory goes that laser stimulates tissue repair and promotes proper soft tissue alignment as it heals. This is controversial, but it’s got to be better than cortisone injections, which can degrade and further damage tissues over time. Pairing the physical tissue breakdown of laser, with the myofascial release used in Graston Technique, makes sense to me! Graston Technique is a patented form of manual therapy that uses stainless steel tools to perform tissue mobilizations. It is a kind of soft tissue mobilization used mainly by manual practitioners – Chiropractors, Osteopaths, Physical Therapists etc. 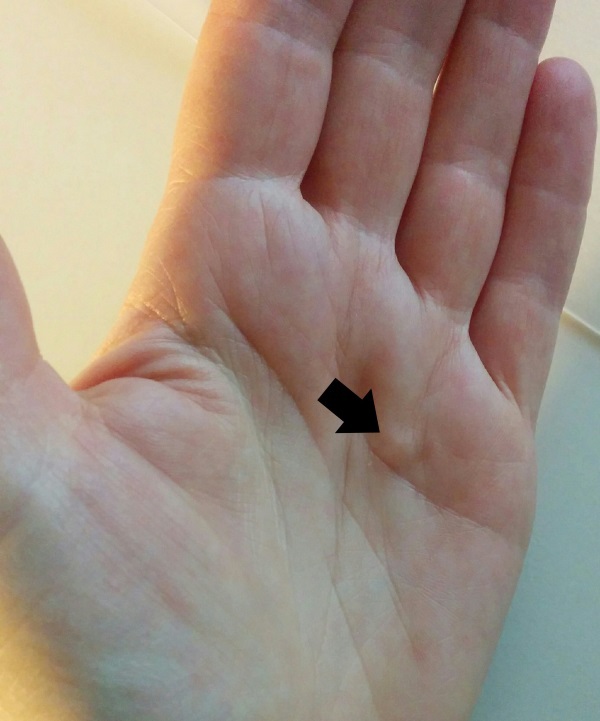 What am I going to do about my Dupuytren’s Disease? I’m going to take action. Many of you reading this post, have followed me for a number of years – Read my posts, watched my videos and maybe even tried some of my exercises. But how many of you have committed fully to your posture correction and long-term health? What is the difference between those of us who dabble, and those who really create change in our lives? Test magnesium levels and supplement if levels are below normal. Begin Low Level Laser Therapy for my nodule. Register in a practitioner’s Graston Technique seminar. Done! Do I feel worried about my Dupuytren’s? Not really. Taking action gives me freedom from worry. When I am proactive about my health, I know I am doing everything I can to have the best healthy future possible. I want to being skiing at 80, not checking into a nursing home. What about you? Are you a victim of your circumstance, or the doctor of your destiny … I hope the latter. Thanks for that very interesting read. I like your approach. I hope that you are successful. I had always thought that chiropractors, sort of, had perfect bodies. So, a revelation. You successfully treated me on 26/10/10 at Lushington Chiropractic in Eastbourne, and I remember that so well. I am still a regular there. Funny isn’t it, how humbling it can be to find out the very people we learn from, are just as ‘imperfect’ as we are. I’ve made changes in my posture, and in my thinking (underlying cause/motivation) through these years of watching your videos! From Hawaii to Paris to Ireland I’ve often kept the exercise pics on my open desktop even when not using it, just to inspire me! The other day here in Hawaii I pulled up a newer video of you, using a pic of the chin-tuck guy from long ago…you were seated and looked well, as if you had been sad-heartened, not like the same energizing gal. You seemed soul-saddened. My own heart felt empathy and I started praying to Almighty God to heal you and touch you. You have brought much joy and healthful techniques into my life. In fact I was teaching a 78 year old neighbor about chin tucks this very week. You take care my dear, and know you are loved and appreciated with special prayers going up. I’m happy and well; thank you for your thoughts and prayers – can never have too many of those!